It’s 11 pm on a Thursday night and I’m asleep. My bedside table begins vibrating. The unmistakable sound of an incoming call. I try to ignore it but I cannot. I reach for my phone, my face still buried in the pillow. “Hello,” I manage to mumble. 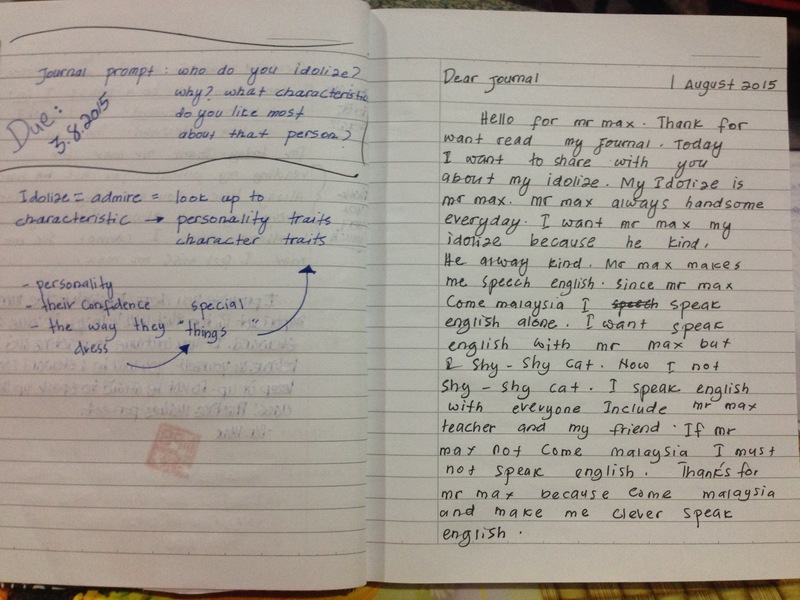 I introduced English Journals to my students in February after the Chinese New Year holiday. Ever since then, our routine has stayed the same: During the first class of the week, generally on Mondays, I inform my student of the week’s prompt. They write the prompt in their journals and we review any confusing vocabulary and brainstorm possible responses together. They then have one week to write a minimum of one full-page addressing the prompt. After the week has passed, I collect the journals, read and respond to them. I hand them back to the students at the beginning of class the following Monday. Then we repeat the entire process all over again. This is how it has been since February. For nearly 20 prompts. And yet here I am, seven months into my teaching placement, answering this completely straightforward question instead of sleeping. And I couldn’t be happier. Sometimes all students’ need is a space they feel safe truly expressing themselves. Once they feel safe, they open themselves up to you in ways you could never imagine. This type of conversation would have never happened six months ago. 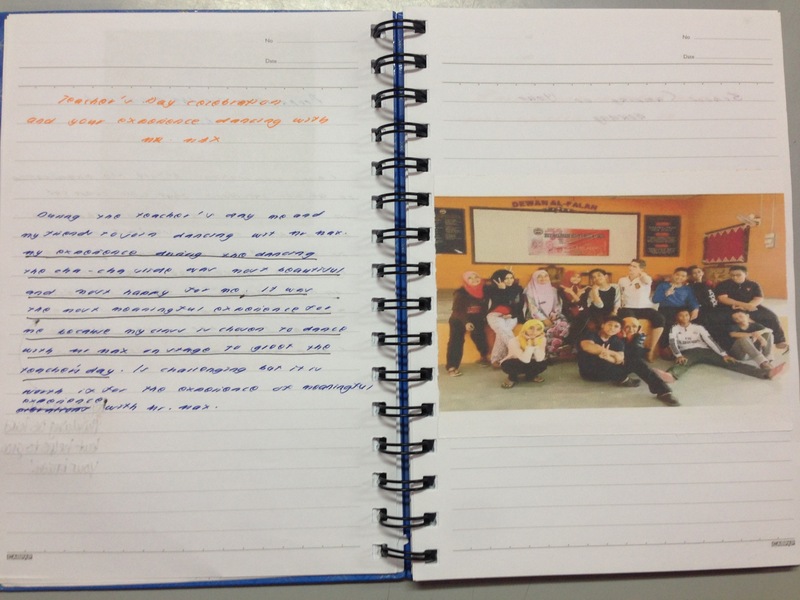 When I first introduced the idea of an English Journal to my Form 4 students, they were confused. The idea of submitting work that would not be marked for grammatical or spelling mistakes was almost as foreign as their new American English teacher. I knew there would be an initial adjustment period, as there is with any radically new enterprise, but I was confident that once they passed over the initial hump, they would open their hearts and minds to me. Needless to say, this initial response was not appropriate and thankfully I was at home when it happened. As I began to further process everything, I realized that I was foolish for losing my cool. Sometimes I find myself forgetting that my students are non-native English speakers. Generally speaking, English language learners take longer to develop confidence with their written skills than their speaking skills. This is because any errors or miscues in writing are “permanent” and “glaring,” where as spoken mistakes can be glossed over as the individual continues speaking. This lack of self-confidence was only magnified in my classroom. My students had been told throughout the entirely of their English language study that mistakes were unacceptable. It is not too surprising then that my students were more willing to copy the “smartest” kid in the class word for word than they were risking humiliation by creating a piece on their own. How could I break through this thick and deeply engrained mental barrier? I wanted my students to know that the entire purpose of the journal was to make mistakes. I wanted them to know that everybody makes mistakes, even native English speakers like myself. (Especially native English speakers like myself.) I love making mistakes. Mistakes, if you can call them that, lead to learning. However, as recent Atlantic article written by Jessica Lahey points out, the classroom culture of risk taking has all but become a thing of the past. The final product trumps the learning process every time. Growth mindsets are becoming increasingly fixed. Mistakes are seen as moments of failure, not as opportunities for growth. And as this article emphasizes, that is not doing society any favors. In an attempt to help ease my students anxiety, I modified my prompts to include sketches. While I still asked that each student answer the prompt in writing, my prompts also included a drawing aspect. For example, instead of asking my students to “describe their dream home,” I encouraged them to “sketch, label and describe their dream home.” As I had done with all of the prompts before this, I reviewed the vocabulary and my overall expectations for their work. I pleaded with them to try their best to do their own work and reminded them that I would be proud of their effort regardless of if there were grammatical or spelling mistakes. Who knew the way to break the self-confidence barrier was through pictures? Whether it was the infusion of sketching or the broken record pleading, my students responded. Every single student turned in a distinctive sketch along with their writing. While there were still some instances of photostatting, the vast majority of the journals were unique. I had found a way in! Even though my students were progressing “academically,” their real growth could be seen in their self-confidence levels. Part of my job as an English teacher here in Malaysia is to deliver lessons aligned with the Malaysian curriculum. I am contractually obligated to make sure my students are showing progress in their English language studies. However, I am also responsible for their social and emotional development. While this may not be explicitly written within the terms of my contract, it is something that I value as an educator. Social Emotional Learning (SLE), in my opinion and that of many researches, is just as important as learning academic content. Finding opportunities to develop students’ self-awareness, responsible decision-making skills and self-confidence is paramount to their success both in an out of the classroom. If I want my students to positively contribute to today’s global society, I need to make sure they know how to navigate and not just know how to locate the verb in a sentence. Yes, both are important, but one should not be ignored at the expense of the other. 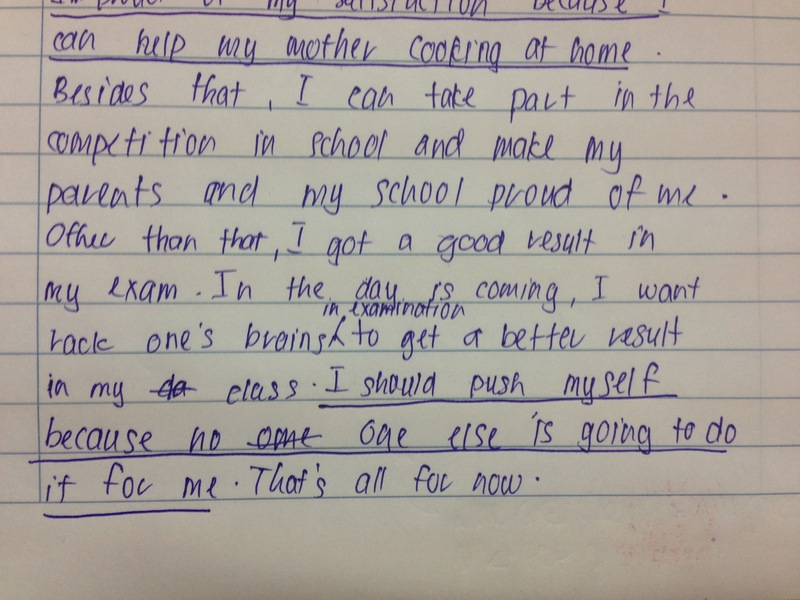 In responding and connecting to my students’ journal entries I am not only validating their efforts academically, I am also encouraging and bolstering their confidence as individuals. Although it took much longer than I had initially anticipated, our class finally reached a point where all of my students were crafting individual pieces week after week. As time passed and students grew more comfortable with my journal project, their level of dedication increased. I started receiving messages asking for next week’s prompt days in advance. Other students would ask me if I had finished reading and responding to their work, the day after they had handed them in. When I do pass the journals back to the class, I make sure to give them a few minutes to read through my comments and look at their classmates’ work as well. The energy level shoots up as they run across the room to show their friends what Mr. Max wrote this week. My time here in Malaysia has been anything but easy. My pedagogical approaches have been adapted in countless ways and my professional goals have changed more times than I care to remember. I have left school some days wondering why I even came in the first place, and sometimes I would sit in my kampung house and wish I was back in America. But the reality of the situation is that my experiences are no different from that of new teachers all across the world. Sure, the circumstances may be dissimilar, but the struggle is not. My teaching career and life as a whole would be entirely different if I was not in Malaysia, and that is a terrifying thought to process. Even though I have not been able to accomplish as much as I initially planned to at SMK Badak, I have impacted my students’ lives in ways I would have never imagined before arriving in January. One of the highlights of my time thus far at SMK Badak was being recognized by multiple students as their “idol.” I spend a lot of time reflecting on the ways in which I can bolster my students’ confidence levels so journal entires like these make me feel as if I am helping their development. Whenever I collect a new batch of journals, I always take the time to sit down and read through a couple from cover to cover. 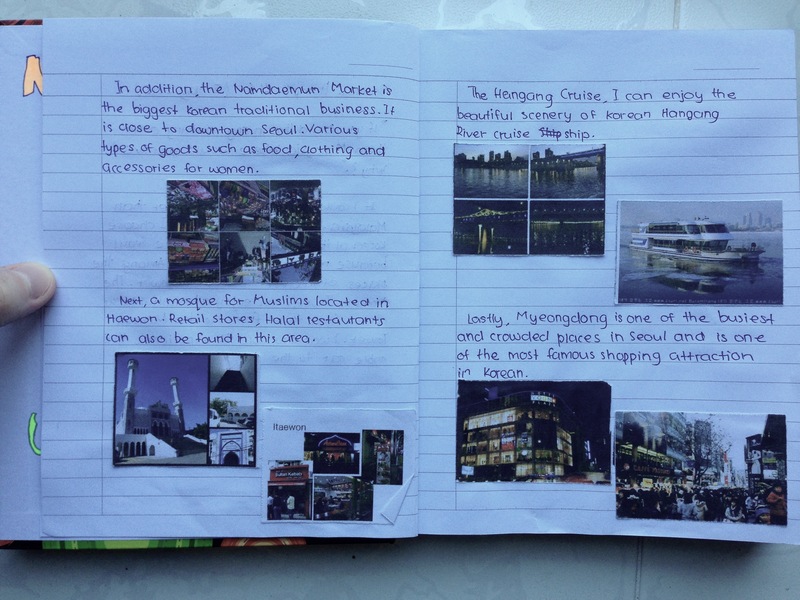 It is truly inspirational to flip though any student’s journal and see their growth unfold page after page. While I have seen unimaginable levels of growth in my students’ self-confidence, a lot of their progress is unmeasurable. When I first entered into my class, some of my female students would literally shake in fear. Today, these same girls go out of their way to speak to me on a daily basis, even if we do not have a scheduled class that day. My male students used to disassociate themselves entirely from any in-class activity. They would either stand in the back corner of the room or stay in their seats. Today, some of those boys actually jump at any opportunity to try something new. For nearly one month, my students refused to produce individual journal entries. Today, as I flip through the pages, I can see their growth unfold before my eyes. And that social emotional progress cannot be marked on an exam. I hang up the phone and fall back asleep with a smile on my face.